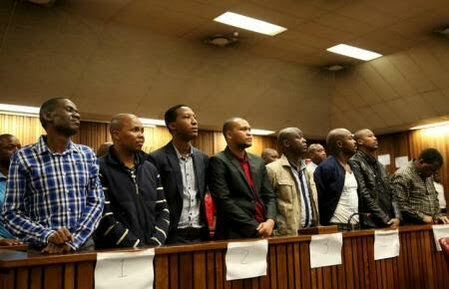 A South African court on Wednesday, November 11, sentenced eight former police officers to 15 year each for killing a Mozambican taxi driver. 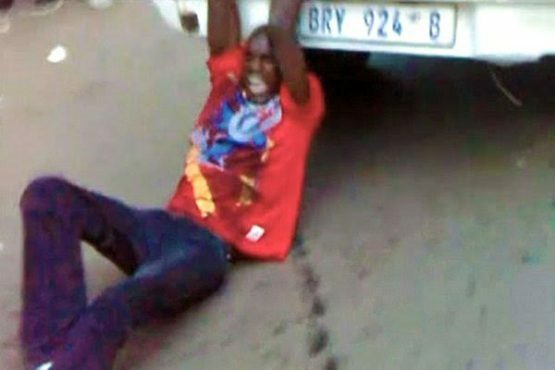 27-year-old Mido Macia was killed in February 2013 when the officers aged between 25 and 56, dragged him handcuffed to the back of a police van and further assaulted him in a holding cell. Macia died from head injuries and internal bleeding caused by being dragged through the streets of Johannesburg in full view of witnesses. The video was caught by onlookers and broadcast around the world. Judge Bert Bam said the accused showed no remorse for their crime and did not deserve a more lenient verdict,such as a suspended sentence. "The continuous conduct of the accused concerning the injuries on the deceased was barbaric and totally inexplicable" Bam said. "What made their conduct more reprehensible was their cowardly attack in a cell on a defenceless and already seriously man" he added. A lawyer for the former officer said they would appeal against the murder conviction.